A damage survey by the National Weather Service concludes southwest Kansas had three EF-0 tornadoes Sunday, in addition to the one in Rush County. 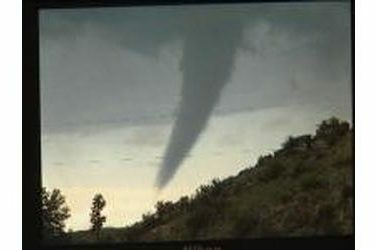 A statement posted from Dodge City Monday night said the newly-confirmed tornado was on the ground for nearly six miles around 9:45 a.m., roughly between Ensign and Dodge City. It had an estimated peak wind of 70 miles per hour. The strongest twister in southwest Kansas was the one east of Bucklin. Its peak winds were estimated at 80 miles per hour, and advanced more than three miles on the ground. The tornado south of Greensburg was given an estimated peak wind speed of 75 miles per hour. It moved nearly six-and-a-half miles along the ground. The report had no data on the twister near Nekoma. All three southwest Kansas tornadoes were narrow, at 30 to 40 yards. All were on the ground for seven to eight minutes before lifting. No injuries are reported from any of them.